I gave this short talk today at The Royal Swedish Academy of Engineering Sciences, IVA. It was addressed to their excellent Mentor4Research program and their group of mentors and researchers. Health screening online for faster and better disease identification. Today: Feel symptom > Google > get worried > go to primary care > be referred to a specialist. Takes a long time! Benefits: Reduced need for primary care. Earlier diagnosis = better health, less worry. 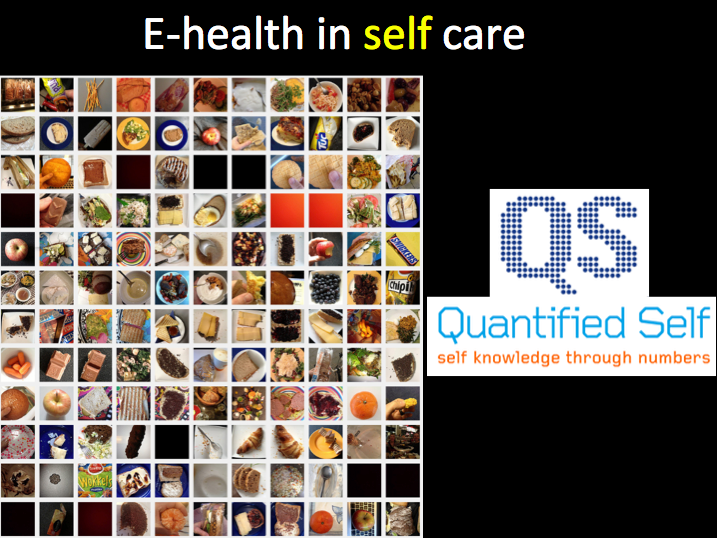 Research needs: Intelligent online questionnaires. Medical self test kits for home use. In use today: PER (Patientens Egen Registrering), a system I am involved with for further development. Rheumatic patients report their health status online prior to doctor visits. Benefits: Fewer and more effective doctor visits since the information is automatically sent to the doctor’s decisions support system. Research needs: Continuous monitoring with health logging apps and connected medical sensors. 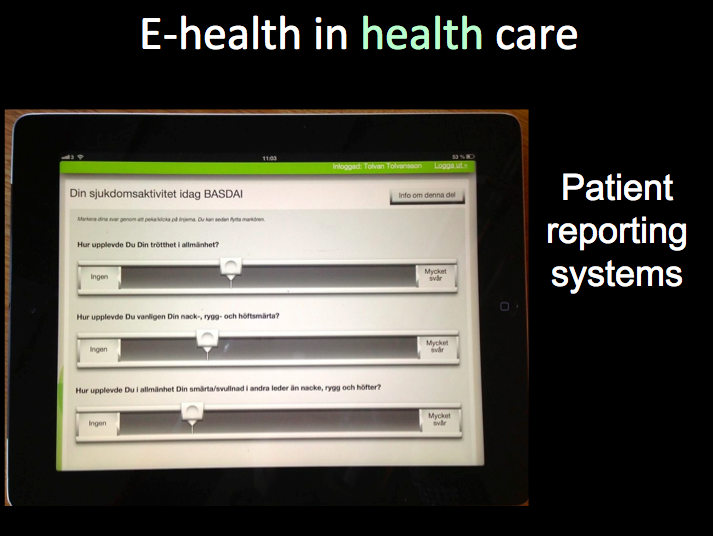 Patient empowerment tools: patients track and manage their diseases. The Quantified Self movement of users and makers of tracking tools. Benefits: Better health and patient satisfaction, reduced health care costs. Research needs: Re-think the health care doctor visit based model. Automatic health & disease monitoring systems, also for mental status like logging quality of life continuously. 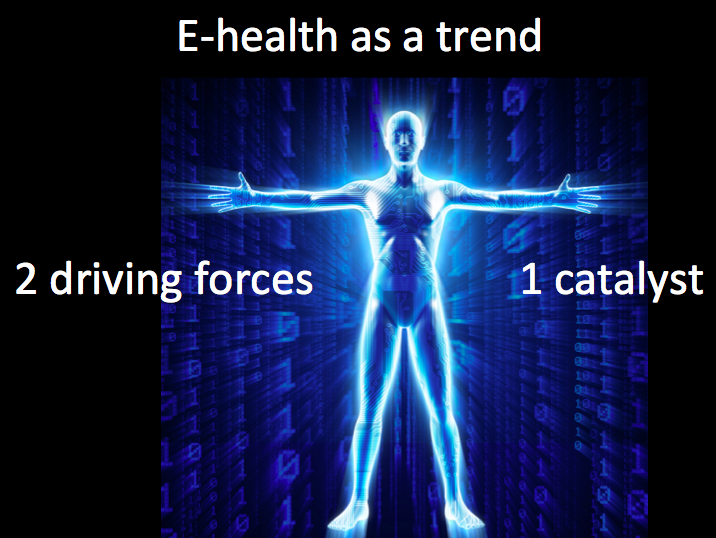 Smartphones are at the center for e-health development. 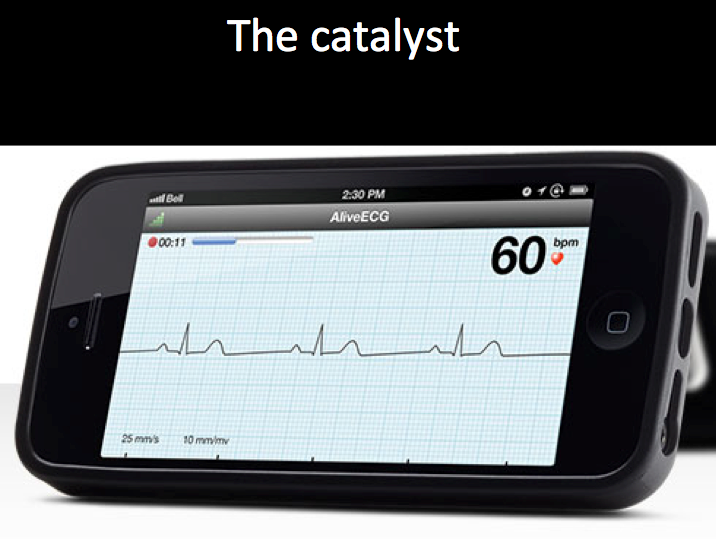 This is an FDA-approved ECG monitor addon for iPhone. Next Next post: TEDGlobal – Inspiration overload!